The European airline industry is tough, unstable and very dynamic, the latest casualty is little known Air Lituanica of Lithuania, which is the 5th European airline victim in 2015 (not counting Russia), following Cyprus Airways, EuroLot (Poland), Tend Air (Romania) and Wizz Air Ukraine into the history books. The European airline industry is in trouble when 2 of its biggest carriers struggle (LH and AF-KLM), and when profitability of the industry is only slightly better than in Africa and worst than anywhere else in the world. Regular labour strikes make the situation worst as management of all airlines tries to lower ALL costs to be able to compete with the low cost carriers (LCC) invasion of all European markets. The state owned airlines in Europe have all taken state aid and the vast majority cannot come back for more under EU regulations, so it is “swim or sink” for basically all from here on. The future of most European airlines rests on finding a buyer (aka “white knight”) the problem is there are very few buyers, government airlines like SAS, LOT, Adria, Croatian, TAROM, etc. have plans to exit government ownership, but sadly NO real interested parties, and they will continue as long as the money holds out and then they will disappear as did Sabena, Swissair, Malev and Olympic. 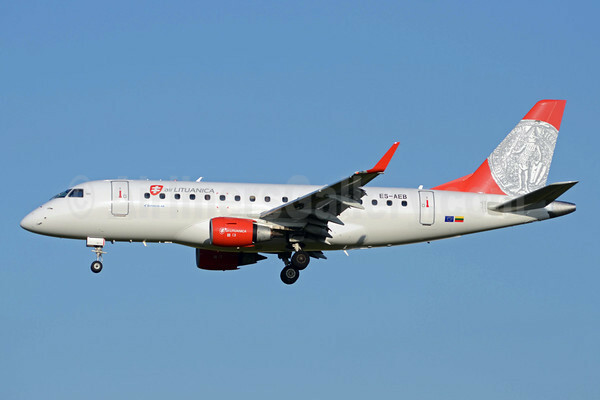 Air Lituanica (Lithuania) had only one 86 passenger Embraer E175LR (above), registered LY-LTF (leased from ECC), when it ceased operations on May 22, 2015. The airline was government majority owned and operated for only 23 months. The airline wet leased a E170LR from Estonian Air, two ERJ-145’s from BMI Regional and one ATR-42-500 from Danish Air Transport. The airline was always too small to create any economies of scale and scope, and it really lacked a sustainable business model to take it further. Air Lituanica was formed in 2013 after national flag carrier Lithuanian Airlines went bankrupt in 2005 and later known as FlyLAL until 2009, followed by another short lived carrier named Star1 Airlines (2009-2010), and for 3 years Lithuania had no local scheduled service airline, until the government once again stepped in with local investors to create Air Lituanica. Presently the country has only Small Planet Airlines (formed in 2010) which is a ACMI (wet lease) and ad hoc charter operator with an AOC in Lithuania and Poland, with Small Planet Airlines (Italy) having declared bankruptcy in 2014, and a pull back of its bases in Germany, UK and France in the past 2 years, the signs are there that not all is well with that carrier as well. Times are tough for small national carriers and even small independent airlines small to medium sized carriers, and many face an uncertain future as bankruptcies loom. 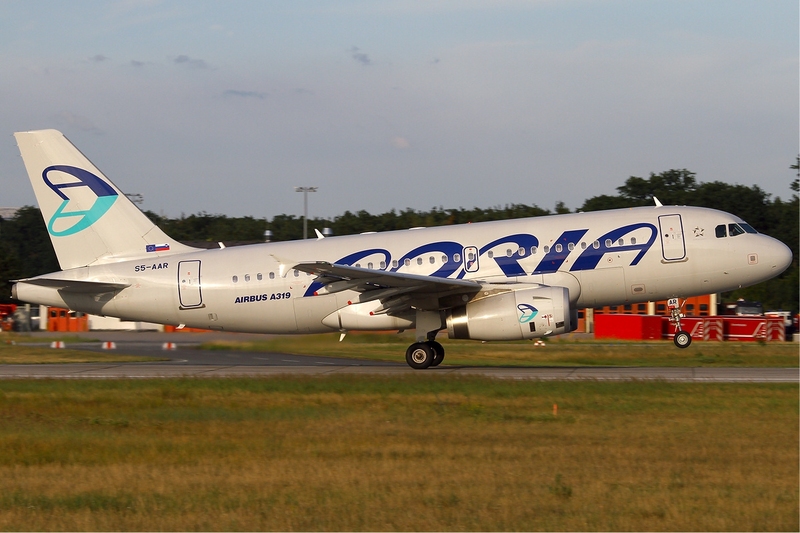 Air Lituanica operated between June 30, 2013 and May 22, 2015, only 23 months as a hybrid airline, short by any standard. Its history was short and full of drama, the start-up was not well planned, initial operations were with a leased E170LR from Estonian who also sold seats on its own web page before Lituanica had its own web page to sell tickets, a red flag for anyone in this industry. The first Lituanica E175 arrived just 2 months before Lituanica and Estonian had a failing out over money owed to each other, it went to arbitration and Lituanica won Euro 955,000 (frozen funds and damages). At the end Lituanica operated only 1 x E175LR (86Y) with ACMI lease of 2 x ERJ-145’s from BMI Regional, 1 E170LR from Estonian Air and 1 ATR-42-500 from Danish Air Transport during its short life. The airline had 10 routes out of Vilnius (VNO) of which 7 it was the only airline operating (Stockholm-Bromma, Berlin-Tegel, Munich, Paris-CDG, Hamburg, Billund and Prague) and 3 routes where it had competition (Amsterdam vs AirBaltic 5/wk, Brussels vs Brussels Airlines 5/wk and Tallinn vs Estonian Air 6/wk). Estonian Air with 7 aircraft (Estonia) and AirBaltic (Latvia) with 24 aircraft are the government owned airlines of the their respective countries, and both have been in financial trouble for years, each trying to carve out a living from their respective countries and each with a questionable future. The 3 Baltic States have a total population of only 6.3 million (1.3m in Estonia, 2.0m in Latvia and 3.0m in Lithuania). With the bankruptcy of Air Lituanica in Lithuania, one has to ask why they do not think about a single airline serving the Baltic States as suggested by CEO of AirBaltic Martin Gauss, it just makes sense, a sort of mini version of SAS (Norway, Denmark and Sweden) but that is not going well anymore, and Norway wants out, so SAS’s future is up in the air right now. 1. What does NOT make sense is AirBaltic being the launch customer (13 orders plus 7 options) for the Bombardier CS300, small airlines should not be launch customers for a brand new aircraft, shows Bombardier is desperate. 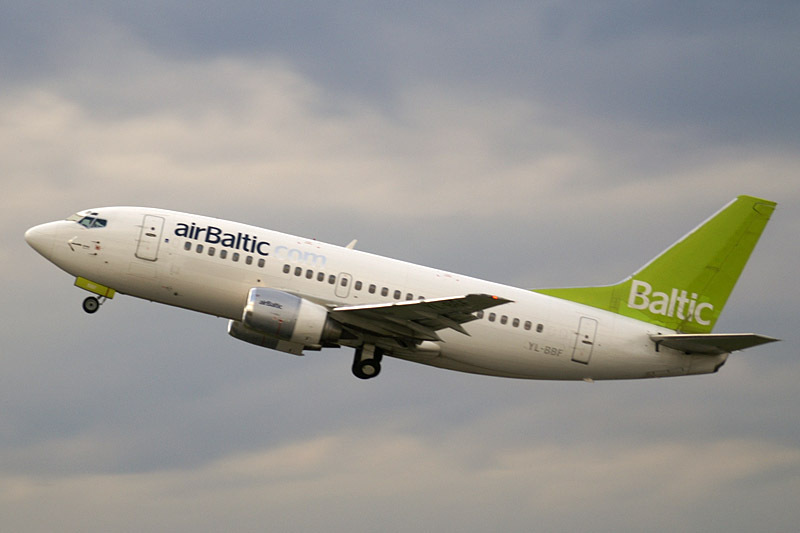 AirBaltic has lost Euro 200 million since 2010, made Euro 10 million last 2 years, near bankruptcy it was bailed out by the Latvian Government in 2011, it cannot get more funding from the state and yet 20 CS300’s are listed at $US 1.44 billion ! and currently operating 7 x B737-300’s, 5 x B737-500’s and 12 x Q400’s, what the heck is Bombardier thinking ? 2. Bombardier few quality airlines on its CS300 order book (Lufthansa, Korean Air, Malmo Aviation) the remaining CS300 customers, Iraqi Airways, Atlast Global, Air Arabia Jordan, SaudiGulf, Falcon Aviation and Republic are either too small, to financially weak, not operational yet or not serious customers. Bombardier wants leasing companies to but its aircraft, but its list of quality airlines is too weak, the risk of marketing and remarketing the CSeries is very high for any leasing company without some real market penetration. It needs a large US and Asian sale, or the struggle will continue, as the CS300 has 3 very questionable orders and options already, 40 + 40 at Republic (USA), 16 + 10 at SaudiGulf Airlines (Saudi Arabia) and 5 + 11 with Iraqi Airways (Iraq), in total 66 CS 300 orders (37% of orders) and 61 options (64% of options) have a HIGH RISK of NOT going forward. 3. Presently CS 300 has 180 orders, 96 options, 47 LOI’s and 23 Options on LOI’s, that is it. So even having an enviable monopoly on 70% of its routes, Lituanica could not make money, that says a great deal about the business model, as that should have equated to success, as the airline was lucky that it did not have to face the onslaught of LCC’s (e.g. Ryanair, EasyJet, Wizz, etc.) or the likes of Lufthansa, BA or AF-KLM that most small/medium airlines in Europe are facing every day and they have to compete with to survive. This is an example of the dilemma small/medium airline sin Europe are facing, its just tough out there and few will survive and be around 5 years from now, especially the government owned carriers. The days of every country having its own national flag carrier are over in Europe and South America, and slowly that reality is coming to Africa and even slower to Asia. Europe has 50 countries with 740 million inhabitants, yet the 6 biggest countries by population (Russia, Germany, Turkey, France, UK and Italy) have 420 million inhabitants (57% of total), leaving 44 countries with 320 million inhabitants and they all would like to have their own national airline, yet that is not possible, North America has 350 million inhabitants and is dominated by only 8 airlines (Air Canada, American, Alaska, Delta, Southwest, JetBlue, United and WestJet). This Lituanica bankruptcy highlights the serious challenges that Europe’s government owned airlines are facing today, especially the second division carriers, as all of now taken their entitled last round of state aid, like LOT, and from here on it is sink like Malev or swim like Air Serbia, there is no going back to the government for more money, it is what Cyrpus Airways did, and the EU forced it to repay the state aid immediately, forcing that carrier in January, 2015 to declare bankruptcy. Much of the European airline industry is in turmoil, while the big network carriers constantly work on restructuring, only IAG (BA, Iberia and Vueling) has made significant changes to its business through cost reductions. Meanwhile Lufthansa and Air France-KLM struggle to deal with their cost problems, as they struggle to tackle the unions head on, and their short-haul operations are struggling against the low cost carriers (LCC), which are now very aggressively targeting business travelers, and Ryanair has seen the light on business travelers and is now marketing itself as a kinder and gentler airline. Of the top 12 above, note that 4 are LCC’s, and the list above is the list of the heavy weight competitors in Europe, this what small to medium sized airlines have to face and especially the LCC’s are giving small and medium airlines a great deal of competition that is tough to beat. Also worth noting that4 of the above had negative operating margins, and only Ryanair and EasyJet had double digit margins, this is the big challenge in Europe, how do the big network carriers deal with LCC on short haul routes, because if they do not find a solution soon, we will see some big names disappear or be consolidated. In 2014, Europe saw 27 airline bankruptcies, closures or buy outs (50% of the global total of 53), most were small to medium sized airlines and there are various reasons for their closures, but the lack of proper strategic positioning in their business model is a big part of most airline failures. At the same time another 17 new airlines in Europe started up, so there are always new entrepreneurs/investors ready to carve out an existence in this highly competitive and capital intensive business. There are several airlines in Europe desperately seeking a “white knight” like Etihad Airways which has bought into Air Berlin, Alitalia, Air Serbia and Darwin Airline, Delta buying into Virgin Atlantic or Korean Airlines buying Czech Airlines but in Europe there are no “white knights”, all the airlines have their own problems, especially Lufthansa and Air France-KLM. From the list above, you can see there are some very small marginal airlines under total government ownership today (Air Baltic, Tarom, Estonian Air) that will have a hard time finding new owners. Endangered List: Tarom of Romania (ABOVE LEFT) bleeding cash real fast, Croatia Airlines (ABOVE CENTER) privatization in 2015 planned, and Adria Airways of Slovenia (ABOVE RIGHT) also being privatized in 2015, will there be a “white knight” for any of these 3 ? they need a strategic partner, not a local oligarch investor. All 3 have to “swim or sink” they cannot go to the Government for more money under EU competition rules, so when they run out of cash, they will go bust ! 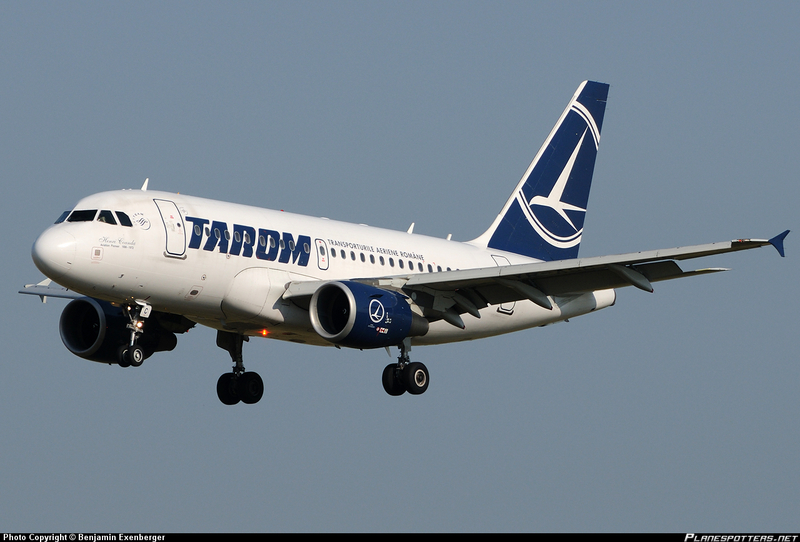 In the case of Tarom, it has not made a profit since 2007 and has lost Euro 107m since 2012, with a loss of Euro 23m on revenues of Euro 247m (-9.3% new profit margin), even though it is well lead under CEO Christian Heinzmann, it like the other 2, find it hard to make money in this industry ! AirBaltic of Latvia a hybrid LCC carrier, has 13 Bombardier CS300’s on order plus 7 options, in 2014 net profit was Euro 9m on Euro 300m in revenue (3% net margin), it made Euro 1m in 2013, and lost Euro 200m between 2010-2012, not really ready to take on 20 CS300’s at $US 1.4 billion in my opinion until it improves it bottom line. 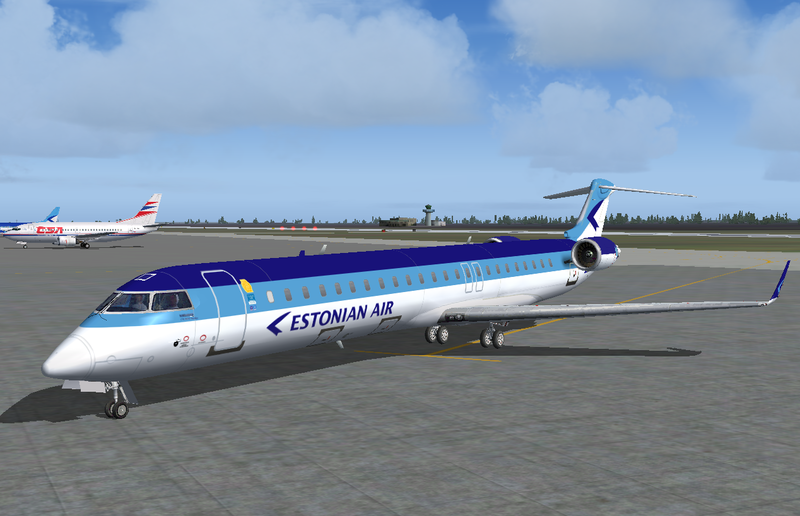 Estonian Air struggles as well, it is outsourcing its 4 x E170 for ACMI leases and its remaining 3 x CRJ-900 are now advertised for a sale lease back to generate cash. Tough market in a small beautiful country. As I write this the Portuguese government has sold 61% of TAP Portugal has just been finally sold to a very viable strategic investor, the Gateway consortium led by the David Neeleman, the founder of Morris Air (USA) bought by Southwest Air, assisted in the starting up of WestJet Airlines (Canada), founder of JetBlue Airways (USA) and Azul Brazilian Airlines (Brazil), the acquisition partner was Portugues bus company Barranquiro Group. This privatization was due in 2012, but only 1 bidder showed up and that offer did not meet the minimum requirements. This deal is priced between $US 397m and $US 547m depending on TAP’s financial performance over the next 2 years, but in 2014 TAP lost Euro 85 million ($US 95m), so $US 150m of the price is dependent on the airline’s performance, an excellent transaction in my opinion. TAP Portugal, the privatization finally is done, 61% goes to Gateway consortium led by David Neeleman (founder of Morris Air, JetBlue Airways, Azul Brazilian Airlines and helped WestJet Airlines off the ground) for a deal that will be between $US 397m and $US 547m. This is good news for TAP, and a rare European privatization of a state airline done well. Unfortunately, the other planned airline privatizations will most likely not go as well or at all. These kinds of deals are rare these days and this has to be worrying for several European governments that are looking to get of the airline business, and it is now a race against time for many European airlines that have depleted their government aid options, and are now alone to decide their own fate or late fate take its course, as it did with Malev and Cyprus Airways, where they took ‘extra’ aid from their government and the EU ordered the airlines to return that money immediately, which off course the airlines could not, and they shut-down. It is time for governments owned airlines to survive on their own, the economic crisis in most European airlines is forcing their hand, and many cases it is a good thing, today Budapest Airport is thriving after the Malev collapse, as other airlines have moved in to provide services. It is not the tragedy most feared, so people in Croatia, Slovenia, Latvia, Lithuania, Estonia, Poland, Czech Republic do not have to fear they will not have good airline service, connections and prices once their flag carriers collapse, many good airlines around will move in and take their place and they will employ local employees. 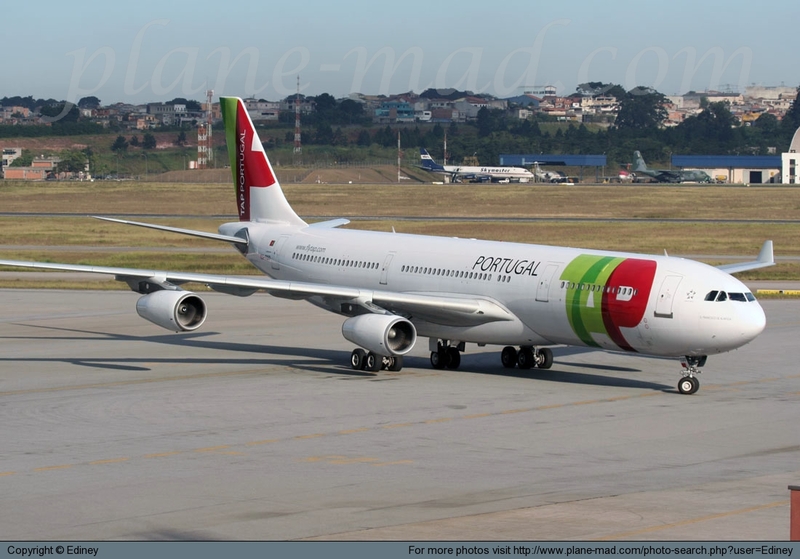 This TAP privatization is an example of a medium sized airline that had something special to offer, its South American network (mainly to Brazil) is lucrative and extensive and even it still could not find a buyer for a long time, what hope is there for the small to medium national airlines “hoping” for a white knight ? (e.g. Croatia, Adria, Estonian, AirBaltic, Tarom, SAS, LOT and maybe Finnair). After 5 months of negotiations, IAG (International Airlines Group-BA, Iberia, Vueling) has received backing from the Irish government (25% owner of Aer Lingus) for its $US 1.5 billion ($2.78 per share) offer for Aer Lingus, the big question is will Ryanair sell its 29.8% share to IAG, a condition of the deal, and one that Michael O’Leary of Ryanair is fighting as he has been ordered to sell all but 5% of the shares held by the new CMA (Competition and Markets Authority), which raises many questions about its decision. How does a small to medium airline compete today in a market where all major markets are occupied, growth in demand is slowing, low cost airlines have made customers even more price sensitive, where customers can go on internet for best prices, where service on short haul is pretty much standardized, competition is about price, overcapacity in certain markets and in short, where air travel is now a commoditized product with little differentiation other than price ? Today we have 3 business models in play the price focused low cost carriers (LCC) like Ryanair, Spirit, Air Asia, where everything is unbundled to full service carriers (FSC) like Etihad, Emirates, Cathay, Lufthansa with multiple cabins and classes and high end offerings (e.g. your own room, lie-flat beds), and then the Hybrid carriers like JetBlue, Azul, EasyJet, Virgin America with enhanced services (e.g. better seat pitch, IFE, some bundled services) and higher yields (compared to LCC). Each business model has its champion, and each business model has its own place in the market, the ULCC (ultra low cost carrier) champions are Ryanair in Europe, Spirit in the USA and Air Asia in Asia, while the hybrid champion is EasyJet in Europe, JetBlue in the USA and Azul in South America. The ULCC have racked up the best financial performance numbers followed by the hybrids and the worst numbers come from the FSC, so no wonder ULCC and Hybrids are now 34% of the global traffic and growing at double the rate of FSC’s. In Europe the LCC and Hybrid carriers now have 45% of the traffic, and these carriers are fierce competitors to any small/medium carrier, so what can these small independent carriers do to survive ? Cooperate with other carriers on code shares or strategic airline alliances, they can use their strong position in their home market to expand regionally to create a regional network that has some attraction for code share partners to feed their hubs. Lufthansa owns 15% of JetBlue in the US since 2007, this was done to have US partner feeding and interlining with its New York-JFK flights, but this is now ending as in February, 2015 it was announced LH is selling its stake in JetBlue. 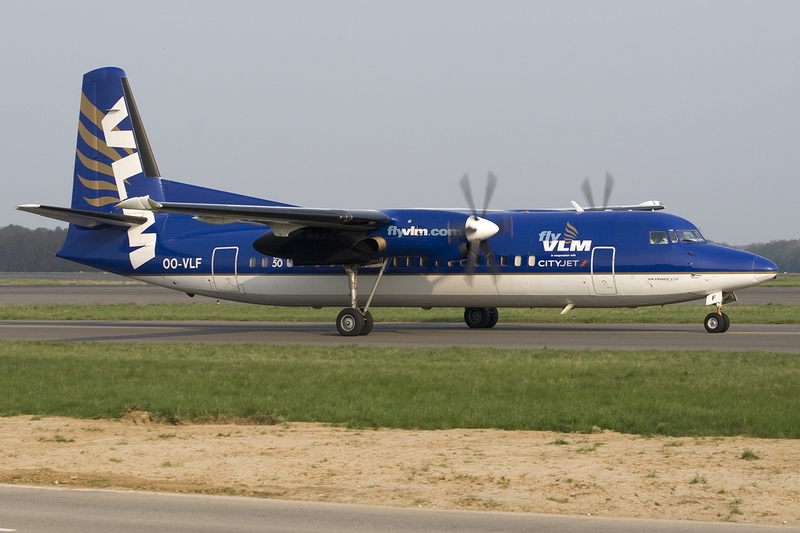 Product niche or low volume point to point (P2P) services between regional airports, VLM Airlines of Belgium for example is now flying services between regional airports with Fokker F50’s like Liege-Geneva, Rotterdam-Hamburg, Antwerp-Dublin, markets big operators are not interested in, or serving airports like Antwerp which has a 1,500m runway too short for bigger aircraft. 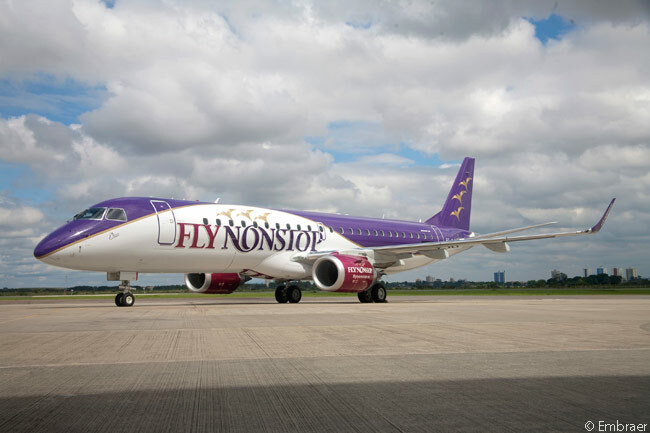 Then there is the virtual airline model of Kristiansand, Norway based FlyNonStop, which leased a 100 passenger Embraer E190 from CIT and had it operated (wet leased) by Dutch ACMI specialist Denim Air to 12 destinations (e.g. Mallorca, Barcelona, Dubrovnik, Parma, Nice, Berlin, etc.). As FlyNonStop did not operate any aircraft directly, it could not call itself an airline, but a “travel company”, that outsourced everything except the sales & marketing. The airline only operated from April 25, 2013 to October 29, 2013, so only 6 months before it shut down, interesting concept, that did not work out, but had some ideas that could be used in the future by airlines. VLM Fokker F50 flies low volume point to point regional airport routes. The airline plans to use Sukhoi SSJ100 SuperJet regional airliners from Russia by 2016, I hope it does not, as tensions with Russia over Ukraine and the hostility now shown against NATO by Russia will warrant EU sanctions on aerospace, and a boycott of any airline using Russian aircraft. As ACMI operations are big for VLM, the network carriers will be wise to avoid the SSJ-100. The sole Embraer E190 aircraft of “travel company” FlyNonStop of Norway, the first attempt at a virtual airline, where the entire operation was outsourced, wet leased aircraft with crew, maintenance, insurance, etc. The idea was very interesting but lasted only 6 months, and yet some ideas warrant further investigation as a possible airline model for the future. 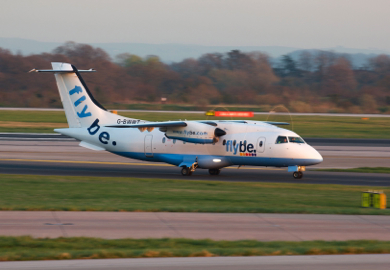 Geographical market niche, one only has to look at Loganair “Scotland’s Airline” serves Scotland, with 30 aircraft from BN2 Islanders, DHC-6, Saab 340’s, Do328 to Saab 2000’s, side note, FlyBE operates 26 of the aircraft under contract, but it works. Loganair “Scotland’s Airline” Dornier 328 operated by FlyBE, serves Scotland with everything from piston powered 9 passenger Britten Norman Islanders to a 370 kt, 50 passenger Saab 2000. Merge and combine for a full cooperative strategy of integration. Merging shares and forming a holding company to keep two or more airlines separate due to airline ownership and international traffic right issues. IAG (International Airlines Group) is the holding company of British Airways, Iberia, Vueling and soon Aer Lingus, all separate, each with its own home market and market segments. In recent years, there has been talk of forming a single airline group to serve the Baltic States (Estonia, Latvia and Lithuania), a common approach, since Lithuania’s airline industry has struggled since independence as has Latvia’s AirBaltic and Estonia’s Estonian Air, makes economic sense, but national pride keeps that as a dream for now, but when Estonian Air and Air Baltic run into trouble again, then what ? they cannot get more aid, and the Baltic’s are without a single scheduled service airline. Acquisition, where an airline takes a substantial equity position in another airline, but the brand remains, this is what Etihad Airways is doing by buying minority stakes in Air Berlin, Alitalia, Air Serbia and Darwin Airline. This way Etihad controls its feed through its equity alliance partners. This can also have problems as we see with Darwin Airlines (now Etihad Regional) as it is now the target of Lufthansa/Swiss/Tyrolean retaliation, and closing down 4 loss making routes and doing more ACMI contract work, as LH’s Tyrolean Airways and Swiss start to fly on Etihad Regional routes not served before, doubling capacity on some routes, cancelling contract flying between Zurich and Lugano after 10 years, and cancelling all of Etihad Regional’s insurance under the LH Aviation Group and adding to its insurance costs, all fare in love and war. 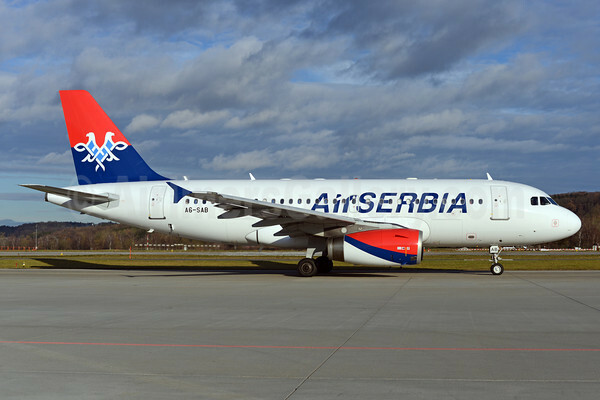 On the other hand Air Serbia under Etihad part ownership has grown into a profitable operation in just one year ! It now has 10 x A319/320’s and 6 x ATR-72’s, and in 2014 it posted a $US3.0 profit versus a $81m loss in 2013. 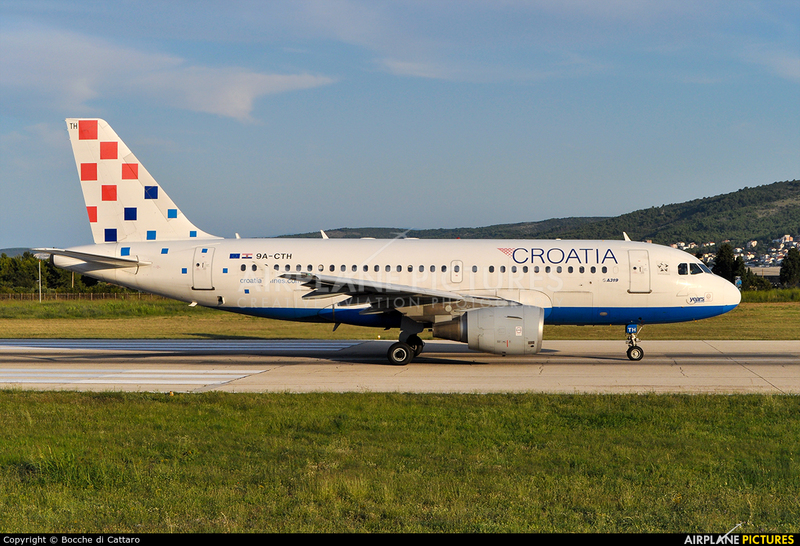 It is now eyeing a service to New York, Toronto and Chicago (most likely with aircraft from Etihad), home to many Serbs. The old JAT used to operate transatlantic services with DC-10-30’s and what a turnaround this will be when those transatlantic flights begin. When JAT Airways of Serbia was near bankruptcy, Etihad Airways became its “white knight” and bought 49% of what is now Air Serbia. In 1 year it went from a loss of $US 81m to a profit of $US 3.0m, now that is an impressive turnaround, thanks to its “white knight”, a lucky opportunity for an airline destined for bankruptcy. 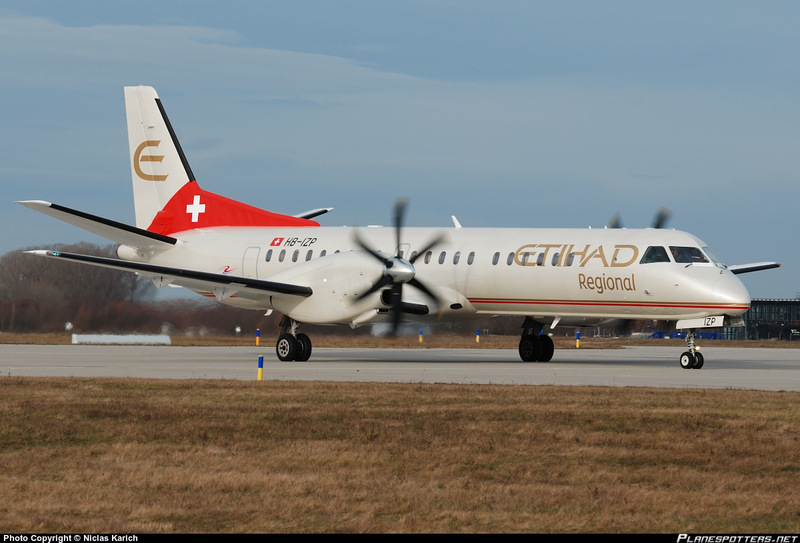 Switzerland based Etihad Regional (ex-Darwin Airlines) 33% owned by Etihad Airways, flies ATR-72’s and Saab 2000’s (PHOTO ABOVE), future looks good, but tough times now that it competes with Lufthansa’s Swiss and Tyrolean, nothing is ever perfect. Right now, there are several active European privatizations under way, and several other airlines eyeing new investors, the problem is that the number of investors is small these days, and many of the government and private airlines now seeking investments, will NOT find it, and we with no more government money, the list of European bankrupt airlines in 2015 and 2016 will grow and grow. Again, thanks for reading my blog, till next time, bye. « SUMMARY: It is rare for any Eastern European or Russian aircraft manufacturer to come out with anything that the market needs and that is competitive with what is out in the market already. The Czech Republic’s Evektor has an opportunity with its EV-55 Outback, a 10-14 seat twin PT6 powered STOL utility aircraft that was forecast to sell 800+ units over 20 years, as it was designed to replace the large number of out of production cabin class piston twins still in commercial service today, as well as offering a twin engine alternative to the very successful Cessna Caravan, but with two engines instead of one, better airfield performance, more speed, more payload and volume at a very competitive price. The EV-55 program was stalled for several years due to a lack of funding to finish certification and last year they found their “white knight” in Malaysia and it looked like the EV-55 was finally on its way to a bright future with a promised EIS (entry into service) in 2017. Unfortunately, as you will read in this business case article, the situation is not as rosy as we are lead to believe, and it is a good lesson and warning to those small aerospace companies that seek “white knights” to help them achieve their goals. The Czech Government accepted my 2004 initial marketing and conceptual design study, and eventually over several years the Czech Government poured in CZK 1.0 billion ($US 40+/- million) in funding to bring the EV-55 to the certification stage, along with CZK 600 million ($US 24+/- million) from 17 other Czech aerospace firms who had a stake in the project. In fact EASA certification just started in March, 2015 with the first official meeting, but don’t hold your breath for this program to materialize any time soon or at all, the process is very long and requires many qualified people to lead it. With 7 brand new Part 25 and Part 23 aircraft projects launched in the Czech Republic in the past 26 years (est. investment of $US 400+ million), NOT one aircraft has gone into production and only one received certification. In fact all aircraft made it to flight testing but all failed to cross the finish line, to be certified, produced and commercialized which is the ultimate aim of any aircraft OEM, (e.g. LET-610G a 40 passenger regional airliner, IBIS 270 single engine turboprop funded by Taiwan-FAR type certified and cancelled, Ayres LM-200 Loadmaster twin engine single prop cargo plane launched by FedEx order for 50, Wolfsberg 257 a 10 seat rear loading cargo door piston twin, VUT-100 Super Cobra a 5 seat high performance metal piston single and the Z-400 Rhino based on Russia’s Technoavia SM-92 Finist a 6 seat STOL aircraft powered by one Orenda V-8 engine) and now the EV-55 may become aircraft #8 for the “Czech Museum of Aircraft that could have been”.